LIVE™ Books of the Bible empowers you to feed students’ appetite for Scripture and open their hearts and minds to parts of the Bible that intimidated them before. LIVE™ Books of the Bible empowers you to feed students’ appetite for Scripture and open their hearts and minds to parts of the Bible that intimidated them before. Young people will discover the beauty and relevancy of Scripture through this flexible two-year curriculum resource that touches on all 66 books of the Bible. As you journey through the entire Bible together, students will see the bigger picture of God’s story and gain appreciation for his redemption plan through Jesus. All 73 lessons are written by veteran youth workers, including Ken Castor, Tim and Tasha Levert, Reza Zedah, and others who have a deep understanding of Scripture and how to make it applicable to young people’s lives. Use this curriculum in any format to meet your ministry’s unique needs. Because you'll know what your groups will be discussing six months from now, you can provide parents with resources to spark conversation and dialogue. Maximize Impact: Help young people dig into God’s Word so they can grow closer to him. 73 Lessons: Engaging, adaptable lessons span a two-year ministry calendar. Parent Emails: Communicate with parents each week to help them gain more confidence in your ministry, and provide resources to spark conversation and dialogue at home. Online Management System: Every new account includes one year of access to the online tool, which lets you manage and edit lessons, communicate with leaders, create calendars, and more ($99 value). All 73 lessons are written by veteran youth workers, including Ken Castor, Tim and Tasha Levert, Reza Zedah, and others who have a deep understanding of Scripture and how to make it applicable to young people’s lives. 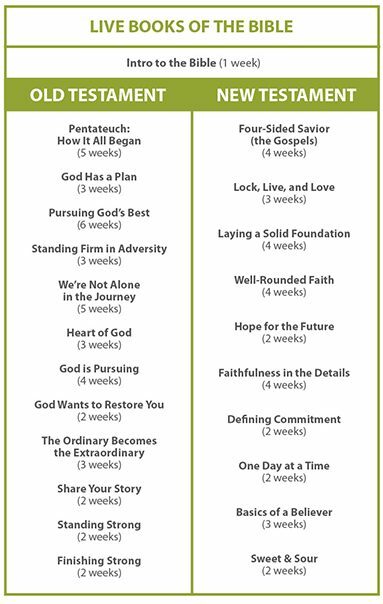 Use this curriculum in any format to meet your ministry’s unique needs. Because you’ll know what your groups will be discussing six months from now, you can provide parents with resources to spark conversation and dialogue. 73 engaging, adaptable lessons that span a two-year ministry calendar. 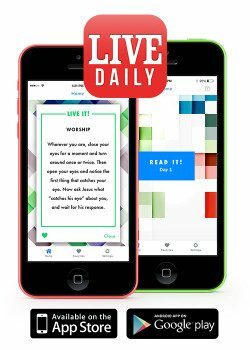 LIVE Books of the Bible includes access to the innovative new LIVE Daily app that sends “in the moment” prompts and ideas for living out their faith. Each day’s idea taps into different ways that people learn—through serving others, reading Scripture, tackling questions, looking toward Jesus, and worshipping in ways beyond singing songs.